You can read more about what we do and the different products we have. I hope the new year started well for you and that you will experience a new year full of joy, happiness, health and abundance on many levels. 2017 was a crazy year, in which Steve passed away in March and I suddenly had to take over the reigns of his company Alaskan Essences. I do it with a lot of joy and inspiration! But, I started to miss the consultations with people and animals, so I am slowly introducing some consultations in my weekly schedule again. It is with heavy heart that I announce the news that my dear husband Steve Johnson passed away Friday March 17, 2017 in Missoula Montana, with me by his side. Since this past January, Steve has courageously undergone treatments for metastatic melanoma. Steve was touched by the support from family, friends and colleagues around the world. It made the last part of his journey so much easier. We are all heartbroken that his physical presence will no longer be a part of our daily lives, but we know he is in a good place and we know that he will continue to inspire all of us. Best Wishes for 2017 !! I wish all of you, your family and your animals a joyful, healthy and peaceful 2017. Winter greetings from cold and snowy Montana, USA! I will talk about the issues or problems animals can have and in what cases flower Essences can be of help (on a practical, emotional and spiritual level). This class will give insight into the inner world of animals and how esences work on their level. I will also explain how essences will help the person in case the animal’s behavior is a mirror for its person. If you cannot make it to this class, no worries, I intend to do more mini-classes and lectures this winter! Send me an email if you would like more information about that. During this talk I will share my insights on the rich soul lives of animals, why they come into our lives and what they can teach us. 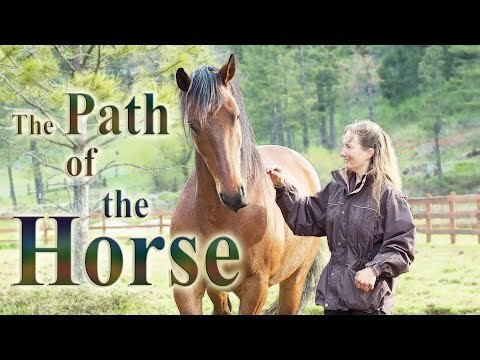 In the many years I have been communicating with animals I have been profoundly impressed with their messages, that give new and valuable insights into how animals experience the world, how they can help us with our own soul journeys, and what they have come here to learn for themselves. This is a fascinating topic that will surely change the way you look at your animals and yourself! Pet Fest is a fun annual adoption event in Missoula Montana. Pet Fest educates the public about the wonderful world of pets. It’s a day filled with family oriented events featuring entertainment, contests, special attractions and pet adoptions. There are many booths from companies and people offering products and services for pets. I will be there to help in the booth of Alaskan Essences to educate about the role of flower essences in the well being of animals, and of course to talk about how we can listen to our animals more! Last year it was lots of fun, and we are sure that it will be fun again, so that’s why we are there!